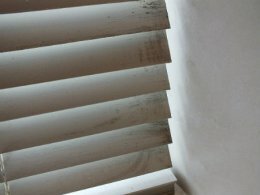 Black Mould Removal - The Right Way! On the face of it black mould removal sounds simple, right? You just wipe it with bleach based cleaner to kill the spores and that’s it! But I’ll come back to how you should remove black mould in a moment. First I want to tell you what black mould is, why you don’t want it in your home and last but not least, how to get rid of it. It’s a mould that grows in the presence of moisture, and the moisture is commonly due to lack of or inadequate ventilation. You can get toxic black mould pretty much anywhere in your home where there's moisture, but the most common locations are bathrooms and bedrooms. 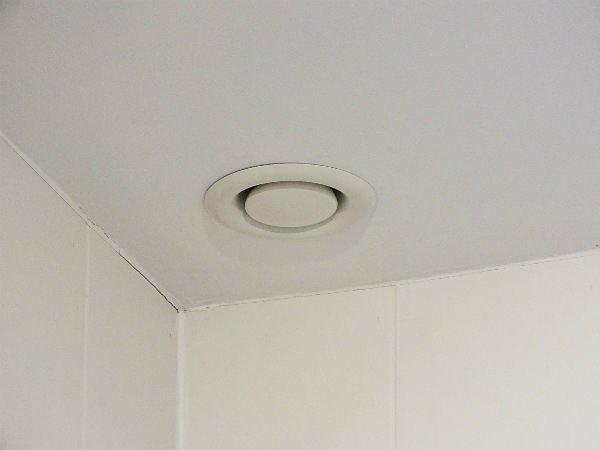 Bathrooms are susceptible due to the large volume of moisture and because these areas tend to be poorly ventilated compared to the amount of moisture present. You’ll also very commonly find black mould in bedrooms as we can each breathe out around 3-4 litres of water vapour per night. If this water vapour comes into contact with a cold surface such as an uninsulated wall or ceiling or a cold window which is below the dew point it will condense to form condensation. If the condensation is allowed to stay there for a few weeks black mould can and will grow in these areas. 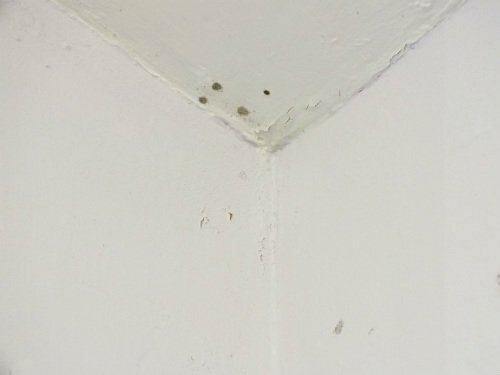 Typically black mould will grow in areas of low air movement, such as behind wardrobes, behind beds, in the corners of rooms were two walls meet the ceiling. Black mould will also grow in areas which aren’t visible such as behind wood panels, under floors and in any area where there’s a steady moisture source. Black mould removal in these unseen areas will be more difficult and expensive. Why you don’t want it in your home? Even death (ok, this would be a very extreme case, but it has happened). In areas of high moisture it will have a moist brown/black appearance but in areas where the moisture source has dried up it can be black and powdery in appearance. Black mould removal in severe cases is something that's best left to the experts, as disturbing it can release millions of dangerous spores into your home. 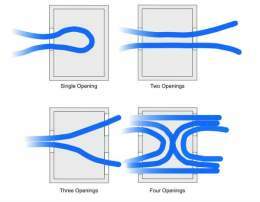 Off the shelf bleach based mould killing products – there are lots of these available on your high street. They all tend to be bleach based and as such care should be taken when using them as bleach gives of pretty nasty fumes. So wear appropriate protective equipment and make sure the room is well ventilated. 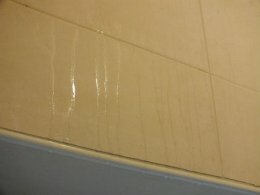 White Vinegar – this is a more environmentally friendly way of removing your black mould. If you’ve got quite a lot of mould use the vinegar neat or for small patches mix it 50:50 with water and spray on the mould. Let it sit on it for 5-10 minutes to kill the mould before wiping it away. Tea tree oil – again this is a good non-toxic way of defeating your black mould. Simply mix 2 teaspoon’s of tea tree oil with 2 cups of water. Put the mixture into a spray bottle and spray onto the mould. As above leave it to kill the mould for 5-10 minutes before wiping it away. It’s also a good idea to spray problem areas before the mould starts to grow with the tee tree solution to prevent future regrowth. While these methods work well, the secret is not to allow it to grow in the first place by making sure your home is well ventilated and there are no other moisture sources such as leaking pipes, condensation, penetrating damp etc. If you do have black mould growing or starting to grow in any areas of your home, get rid of it immediately and then get rid of the source of moisture. I can’t stress it enough, just wiping away the mould and ignoring the underlying problem i.e. 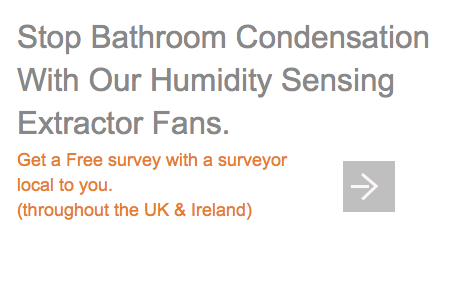 damp or condensation will NOT solve your problem. 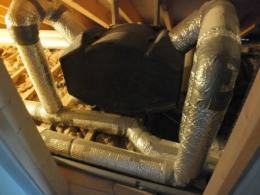 If you don’t get rid of the moisture/condensation source your toxic black mould will keep coming back. Top Tip - I’m constantly talking to people who just wipe off the black mould and paint over any stain left only to find it reappears in a few weeks. Even if you do manage to remove or cure the moisture source you’ll still need to use a stain block treatment to stop the old mould stain showing through the new paint. If you don’t want to spend the money on the many stain block products available off the shelf then simply mix some PVA glue in with your paint OR paint over the stain with gloss paint then once it’s dry, paint over that with your matt paint. 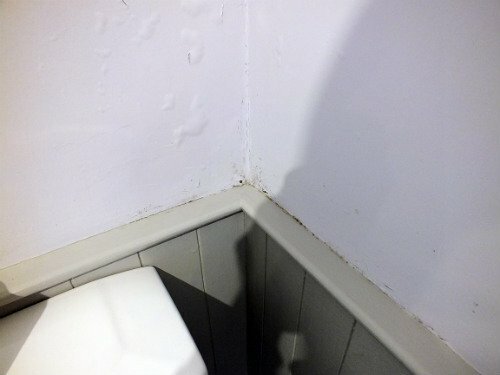 The most common locations I come across toxic black mould, as mentioned above, is in bathrooms and bedrooms and the most common moisture source I find is condensation caused by excessive water vapour in the house from drying clothes inside, cooking, bathing and inadequate ventilation etc. To cure it, either get a professional to carry out the black mould removal for you or use one of the DIY black mould removal methods above. Then deal with the damp or condensation problem straight away to make sure the mould doesn’t return. If you think have a damp problem there’s a good chance you’ll need to find a builder or qualified repair company to sort this out for you. If however you’re suffering from excessive condensation the main way of reducing condensation is increase heat and increase ventilation. Increasing heat and ventilation is easy, just turn the heating up a bit and open your windows more often to allow fresh air in and stale moisture laden air out. 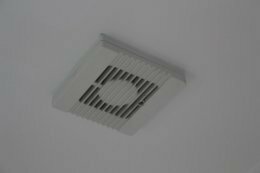 If you’re struggling to increase ventilation there are several other ways of providing additional ventilation within your home, from positive input ventilation to humidity sensing fans right through to mechanical ventilation and heat recovery. You can find out more about these and which one would best suit your home by following the links above to my individual articles on each. Home Page. › Condensation › Black Mould Removal. Related Articles You May Like.